Maceration. Procanico 100% from Vecchia Vigna. 600 bottles. Complex, smooth and delicious. Le Coste is run by Gian Marco Antonuzi and his wife Clémentine Bouveron. They both worked for Gérard(Bruno) Schueller in Alsace and moved to Gian Marco's hometown Gradori-Lazio when they married. This beautiful place is located in the border of Toscana and facing volcanic lake Bolsena. 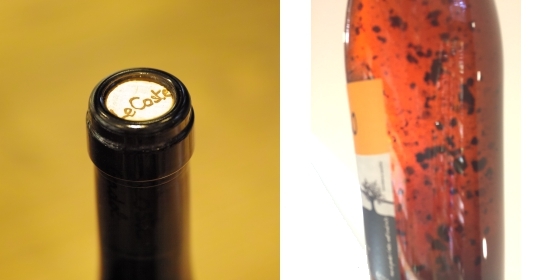 Le Coste was established in 2004 and released tiny 2006 as a first vintage. The vineyards are managed based on biodynamic principles and vinification process is extremely natural. 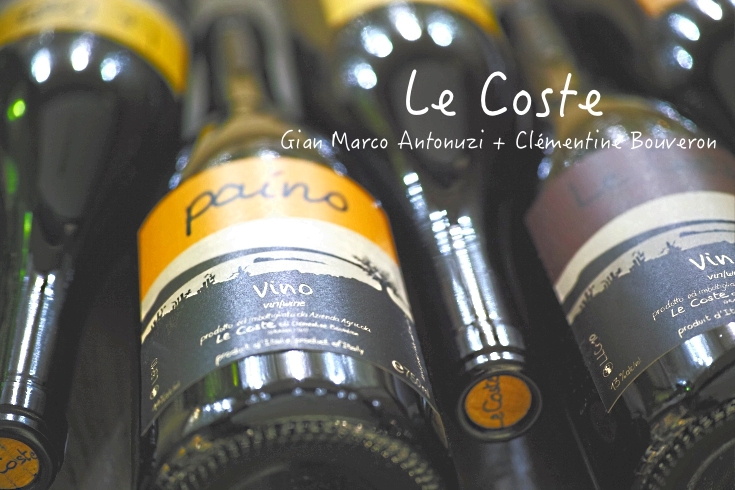 No doubt, this primitive, pure, energetic and expressive Le Coste is one of the most sensational wine in Italy today. * The bottle neck is naked. No capsule. * Wine has been bottled with lees. Please stand the bottle for one day before drinking to purify the liquid. Or you can also enjoy cloudy if you like. This is the most tasty part. It looks black through the bottle, but actually it is not that black.